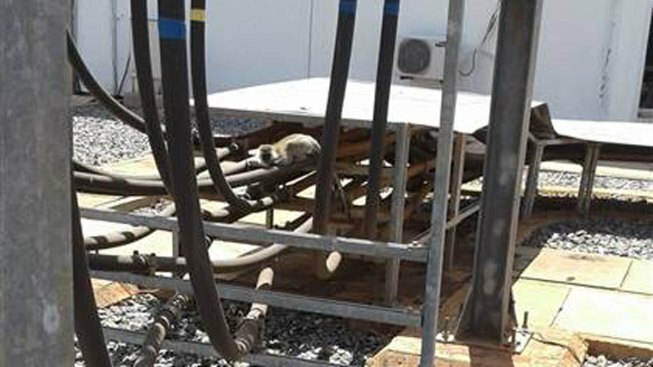 KenGen posted a photograph of what appears to be a vervet monkey crouching on top of electrical equipment. A monkey caused a three-hour nationwide blackout in Kenya Tuesday, officials said, NBC News reported. Kenya Electricity Generation Company (KenGen) said in a statement that a monkey climbed onto the roof of the Gitaru Power Station and fell onto a transformer, tripping it. Power was restored after three hours. Kenyan businesses regularly complain that power cuts and unreliable supplies make them uncompetitive and hurt growth. KenGen said on Facebook the monkey is alive.